Here are the dung beetles that visited the Hydnora flowers of the plant cultivated in Claremont, California in 1979. Notice their bodies have some whitish hairs on them; pollen could adhere to these hairs. Flowers pollinated by beetles usually have some tissue that offers beetles as food. In Hydnora, that's the whitish tissue on the inside of the "sepals." 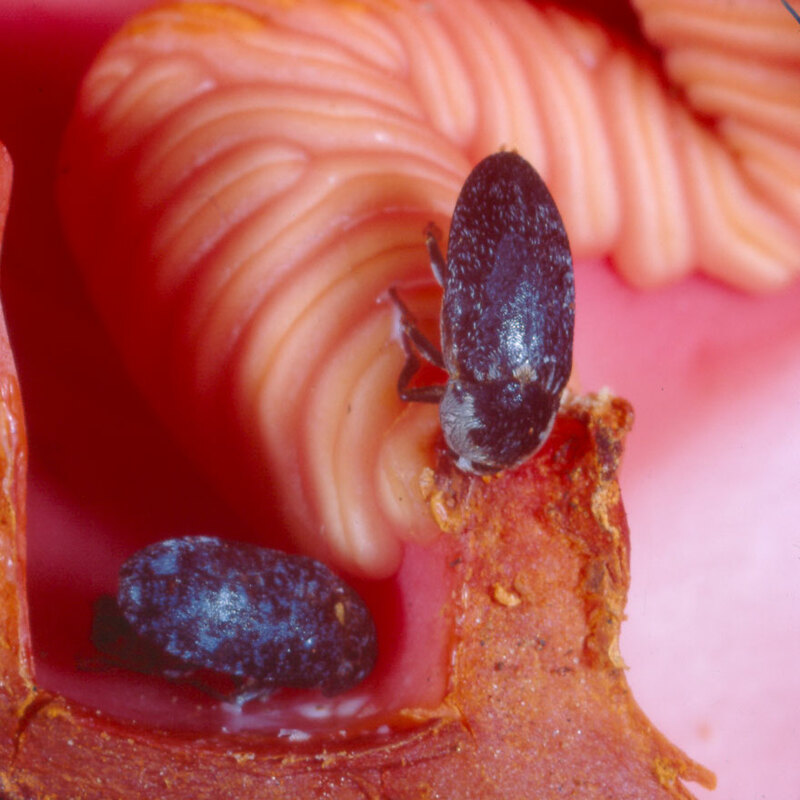 But beetles don't confine their feeding to such special "bribe" tissues. Beetles eat pollen and then eat the cells of the stigma. Beetle-pollinated flowers usually have an abundance of pollen and an abundance of stigma areas, and Hydnora flowers are no exception. By producing excess pollen and stigma cells, beetle-pollinated flowers succeed in achieving pollination and producing seeds despite the feeding habits of the beetles.